One of my favorite new artists, Lauren Pritchard, took a break from her UK promotional schedule to make her U.S. television debut on The Tonight Show with Jay Leno last night. The 22 year old Jackson, Tennessee native sang a gritty, soulful rendition of her new single, "Not The Drinking," earning herself a raucous round of applause and cheering at the end of the performance. 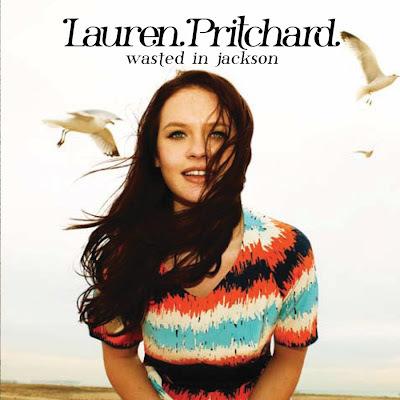 The Broadway Star (Pritchard was part of the original Spring Awakening cast)-turned singer/songwriter was signed to Universal/Island Records and has been busy making a name for herself in the UK, extensively promoting her EP (The Jackson Sessions) and new album, Wasted In Jackson, which was released in the UK on Monday and here in the States Tuesday. UK fans can snag a free copy of the album track "When The Night Kills The Day," co-written by Ed Harcourt and produced by Ted and Marcus Mumford (of Mumford & Sons) on iTunes. U.S. fans can buy the track along with the rest of the album now. If you haven't heard this girl sing, you're really missing out. Love her! Come back to the states Lauren! I'd love to catch you on tour. Oh Duffy, Duffy, Duffy. Where have you been all of my life? Back in 2008, Duffy was just one of a rather large crop of British artists who crossed over to this side of the pond and found moderate success. NOW, her forthcoming sophomore effort is one of my most anticipated albums of the year. Due out November 29th in the UK and December 7th here in the U.S., Endlessly marks Duffy's triumphant return to the scene after a couple of years out of the spotlight. First single "Well, Well, Well" is a smokin' hot soulful little number that recalls elements of Duffy's last major hit, "Mercy." My fear with her new album is that it's going to follow the same format as Rockferry. One romper, stomper of a first single, followed by a string of sleepy ballads. While I do have high hopes for this album, I choose to remain cautiously optimistic...at least until I hear more album clips. Check out the Chris Cottam-directed video below. "Well, Well, Well" was written by Duffy and Albert Hammond and is available now on iTunes via A&M Records.